Wendy Miki Glaus recently joined Hurley Re P. C. as a paralegal and has been assisting elders and families prepare for long-term care for over fourteen years. Wendy is a licensed CPA in Oregon and is working on obtaining her law license in Oregon. Wendy is licensed to practice law in Hawaii. She serves as an Elder Law Attorney, Estate Planning Attorney, and a Certified Public Accountant. She is certified as an elder law specialist and recognized as a Certified Elder Law Attorney (CELA) by the American Bar Association (ABA), accredited by the National Elder Law Foundation and so certified by the Supreme Court of Hawaii. She is also certified as an Estate Planning Law Specialist and Accredited Estate Planner® (AEP®) by the Estate Law Specialist Board, Inc., an organization accredited by the American Bar Association and affiliated with the National Association of Estate Planners & Counsel (NAEPC), and so certified by the Supreme Court of Hawaii. Her practice focused on estate planning specializing in Medicaid planning and applications, probates, conservatorships, guardianships, Veterans benefits, estate taxes, gift taxes, income taxes, and housing and care issues for the elderly. Her dedication and expertise provide families, including her own, with assistance in qualification for Medicaid and other available government benefits. Ms. Glaus started her work in estate planning in 1994 at KPMG LLP as a CPA preparing estate, gift, and trust tax returns. She then went on to law school in Seattle, Washington, and received her Juris Doctor from Seattle University. Ms. Glaus was admitted in 2000 to practice law in Hawaii. She has also received her masters degree in Business Administration from Chaminade University of Honolulu. She most recently worked as a partner in the law firm of Sterling & Tucker, LLP for fourteen years. With over fourteen years of experience in elder law, taxes, and estate planning, Wendy dedicates her career to assisting elders and their children deal with the multitude of legal and financial issues related to aging in our world today. Her knowledge and expertise comes from assisting her elder parents. Her father is in a VA nursing home and her mother is in an assisted living facility. She knows how emotional and stressful it is to care for elders and realize the importance of financial planning and disability planning. Ms. Glaus is a Board member for the Council on Aging of Central Oregon. She conducts Medicaid and Veterans benefits seminars for hospitals, nursing homes, care homes, assisted living facilities, retirement communities, and other private organizations. She has also been an educational speaker at the Hawaii Bar Convention and for the National Business Institute. 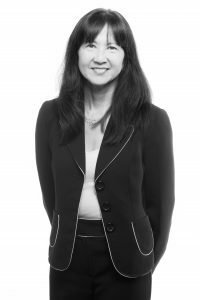 In addition to her many affiliations, Ms. Glaus is a member of the Hawaii State Bar Association and served as a Board member on the State of Hawaii, Board of Accountancy from 2010 to 2015. Ms. Glaus’ many years of education and experience in both tax and law enable her to provide clients with unique protection planning in the areas of tax, estate planning, Medicaid, Medicare, Veterans’ benefits, and real estate so their senior years do not have to be burdened with financial worries. Ms. Glaus is an Ironman Triathlete, having completed twenty-two Ironman triathlons in the U.S., Canada, Western Australia, Switzerland, Austria, New Zealand and Brazil. She also qualified and completed the World Championships held at Kona in 2005, 2007 and 2008, and has completed two Boston marathons in 2014 and 2015. Disclaimer: This website contains general information only. The information contained in this website is not intended to convey or constitute legal advice on any subject matter. The information in this website cannot be guaranteed to always be up-to-date, complete and accurate. Any representation or warranty that might be otherwise implied is expressly disclaimed. Readers should not consider the information presented on this website to create any attorney-client relationship. The transmission of any initial inquiry through this website is not intended to create an attorney-client relationship with Hurley Re, P.C. or any of its attorneys.